Darjeeling: The West Bengal government on Thursday offered talks to defuse the crisis in the restive Darjeeling hills where a case of murder was filed against Bimal Gurung, the underground leader of the agitation spearhead, the GJM, and his wife for the death of a man during Saturday's clashes. 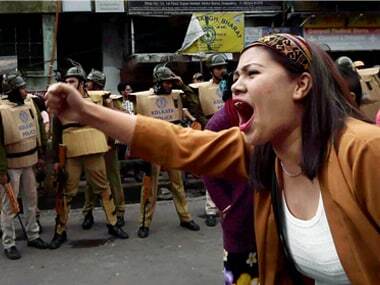 Darjeeling remained tense, but incident-free on day-eight of the indefinite shutdown which crippled normal life. State home secretary Malay De, who chaired an all-party meeting in Siliguri on the prevailing situation in the scenic hills, said the doors of the government "are open for talks to restore normalcy in the hills". The meeting was not attended by the Gorkha Janmukti Morcha (GJM) or any political party in the hills. The Congress, the CPM and the BJP also stayed away from it. A senior police official said a case of murder, arson, assault on police personnel and conspiracy to incite violence on 17 June has been filed against Gurung and his wife Asha. Darjeeling had on that day witnessed widespread clashes between GJM activists and the police in which one person was killed and 35 security personnel were injured, including an India Reserve Battalion (IRB) officer seriously. "We have lodged a case (against Gurung and his wife) and the investigation is on. There were allegations that they were involved in the violence, arson and killing of one person during clashes on Saturday," the official said. Reacting to the police case against Gurung and his wife, a senior GJM leader charged the police with implicating them in false cases. "Three of our supporters were killed and they are filing cases against us. Cases should be lodged against the police and the state administration for violating human rights and the killing of people," he said. 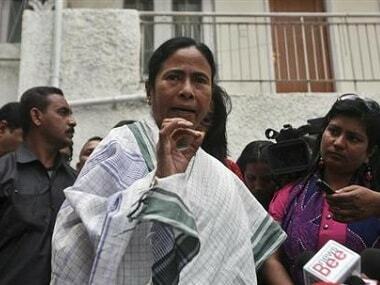 On the meeting convened by the state government, the home secretary said three political parties, including the ruling Trinamool Congress (TMC), and two development boards of the hills participated in it. The other parties were not named by him. Asked about the absence of major parties at the all-party meet, he said, "We had invited all the parties without any condition. Had they given their advice on how to bring back peace and normalcy, it would have been better." De said, "The process will be on. We hope that they will participate in the future. Everybody wants peace. But peace will not return if one adopts a confrontationist attitude." On the statement of the GJM and other parties that the indefinite bandh will be carried on till the security forces are withdrawn, the home secretary said, "It will depend on our assessment of the situation there." He said it was the constitutional duty of the state government to maintain peace and public order and steps would be taken accordingly. Normalcy should be restored as people are suffering, he said. 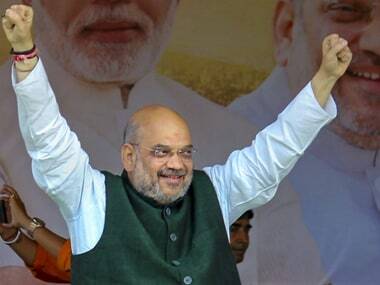 The TMC secretary-general and state minister, Partha Chatterjee, who was present at the meeting, said, "They (GJM) are putting the people to trouble. Why are they doing this? They can come to the discussion table and say it." On the withdrawal of the security forces, he said, "I would like to ask when would they stop violence?" He said the process undertaken by the state government for the development of the hills will be on and that the development work will suffer if normalcy is not restored. On the suspension of Internet services there, he said, "You all know why it was done. The people should not be provoked." Police patrolling was intensified in the hills since Thursday morning as GJM activists took out processions in support of their demand for a separate Gorkhaland in which BJP supporters participated with party flags. A signature campaign for Gorkhaland was organised by the Citizen's Forum for Gorkhaland at Chowrasta in the hill town. Ambulance operators, who earlier in the day refused to carry patients fearing harassment, however, resumed their services. In Gangtok, Sikkim Chief Minister Pawan Chamling extended his support for a separate state carved out of West Bengal, saying it would fulfil the constitutional demand of the people of Darjeeling hills and also bring permanent peace in the region. Chamling, in a letter to Union home minister Rajnath Singh, said, "The fulfilment of the constitutional demand of the people in the Darjeeling Hills will provide long-awaited justice to their patriotism."